Your body undergoes profound changes after you cross your 40s; it’s a time when several skin problems can exist simultaneously. The signs of aging include discoloration, emerging of skin tags, fine lines, wrinkles, and laxity that progresses quickly through the decade. All of these issues arise because the fourth and fifth decade of life is marked with a decline in various growth factors and hormone levels. Cell damage accumulates in the tissues, and the skin is the most affected. As a result, the rate at which the skin repairs and renews itself becomes an extremely slow process. If you haven’t seen any already, you will likely witness your first wrinkles in your 40s. Sun habits, harsh skin care routines, and genetics are some of the factor that contribute to skin aging. They appear in two categories: deep furrows and surface lines. The former have little to do with aging, and surface lines are the wrinkles that really bother people. The usual recommendation for wrinkle treatment is the use of retinoid creams, as they simulate collagen to slow aging, but people with sensitive skin should use over the counter retinal as a less intensive treatment. Botox (botulinum toxin) can be used in tiny doses for wrinkles around the forehead and eyes. As cell turnover in the skin slows down with aging, it leads to a lackluster complexion, causing skin dullness. Dullness can also be a result of a combination of reduced skin turnover, decreased blood circulation and dead skin building. Other causes include smoking, sun damage, and medical problems such as circulatory and neurologic. To reintroduce the glow in your skin, stay out of the sun and stop smoking. You can also exfoliate the dull area with glycolic acid creams, as well as undergo microdermabrasion to slough off dead skin cells and recharge the cell turnover process. In other cases, treating underlying medical issues will also improve skin tone. Exfoliation should be the prime treatment option as it can be performed at home and works gently to remove dead skin skills. This is a small, benign area of skin that connects to the underlying skin through a thin stalk. They appear as small bits of hanging skin and occur when skin rubs against skin (which usually happens in older age). Prone areas include underarms, upper chest and neck. 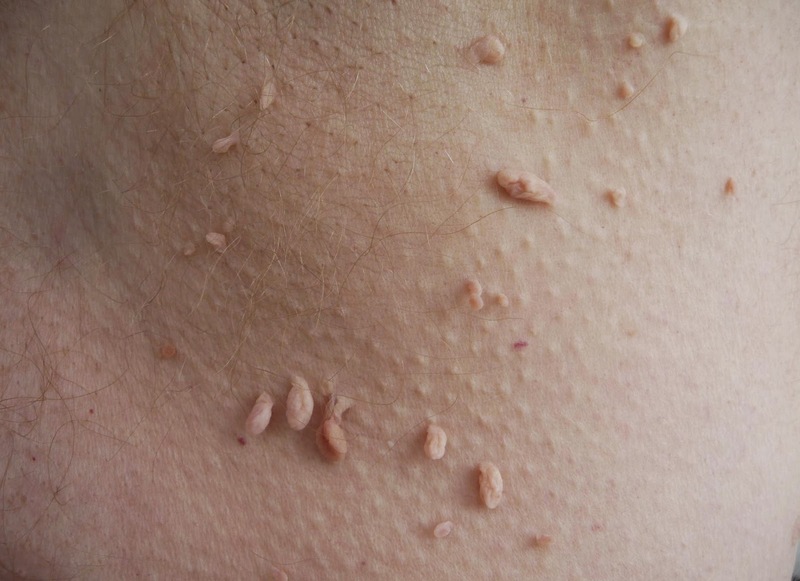 The hormonal changes of aging and pregnancy can also lead to the growth of skin tags, particularly after the 40s. Skin tag removers and/or surgical removal by a dermatologist are some of the options to treat this condition. The former works well to safely flake away skin tags, and the process doesn’t involve any scarring or pain. Home remedies such as duct tape removal and dental floss are not recommended as they can result in pain and damage the skin. These are rashes of raised dots that can turn into painful blisters. They cause your skin to itch, tingle, burn, and become very sensitive. After 40s, shingles can be severe, and in some case, everlasting. They often show up on the buttocks and trunk. Starch and colloidal oatmeal baths can help relief painful skin. The products should be added to lukewarm water; avoid hot water as it may further irritate the skin. For many people, back pain and other spinal issues are a part of life. From old injuries to daily stresses and strains, there are a variety of factors that can contribute to chronic back pain, some of which can result in reduced mobility and poor quality of life. Thankfully, though, there are simple, yet effective, ways to treat back pain, as well as prevent injuries and other complications. Keep reading for tips on addressing discomfort and protecting your back in the interest of long-term health and mobility. One of the best ways to prevent pain and injury is to keep the back strong and toned. Core strength can help, too, as a strong midsection will aid in balance and promote healthier posture. Exercises that target the back and core include swimming, elliptical workouts, yoga, pilates, dance workouts and free weights. Also, since being overweight can add excess train to the back, as well as affect balance and stability, cardiovascular exercise is extremely important. For maximum benefits, 30 minutes of cardio activity, three or four times a week, is recommended. • Don't overdo it. To prevent injury, it's important to take it slow, and match activities to your overall health and skill levels. • Use the right gear. The proper footwear, supportive braces for the back and knees, and other types of protective fitness gear can enhance safety and stability, which can reduce the risk of stress and injury. • Pay attention to form. When performing any type of exercise, paying attention to form and alignment can prevent injury and enhance the effectiveness of physical activity. • Massage. When it comes to issues like muscle soreness, spinal compression, nerve pain and aching joints, massage can be extremely effective in providing relief and preventing injury and discomfort. In fact, for individuals who suffer from chronic back pain, frequent massages can provide significant advantages to both health and quality of life. For these people, at-home massage using professional massage tables can offer sustained relief from pain and discomfort, as well as prevent future flareups. • Stretching. Stretching exercises can relieve tension, stiffness, soreness and compression, and may also prevent injury to the spine. What's more, frequent stretching can enhance range of motion, which aids in stability and mobility. • Awareness. In protecting the back and overall health, in general, a little awareness goes a long way. For example, by paying attention to posture, as well as taking the proper precautions when working, exercising and performing other tasks and activities, stress, discomfort and a variety of injuries can be prevented. • Sleep. Sleep gives the body time to heal and repair; without sufficient rest, pain and discomfort can worsen, and the risk of injury is increased. Also, individuals who suffer from chronic back pain may benefit from changing sleeping positions or using pillows between the knees or beneath the lower back. Although back pain and injuries are extremely common, the tips provided here can help address discomfort, as well as prevent injury and a worsening of symptoms. 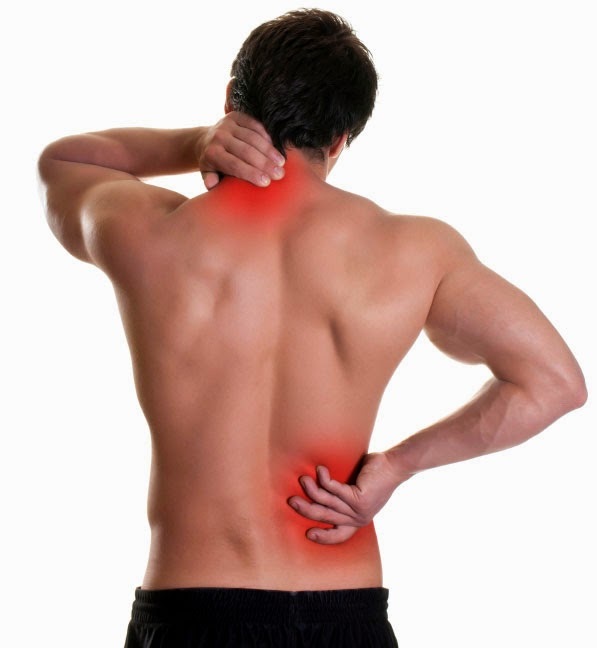 If you suffer from back pain or a spinal injury, talk to a doctor about available treatment options. Individuals are under constant pressure to do better at their jobs, to work harder, to provide for their families. We as human beings are not made this way. This is something that was imposed on us by society. From our first baby steps, they teach us that we need to be first and best in everything. Even some silly games which we play as children have specific underline. It is expected from us to be the best because anything else would be a disappointment. 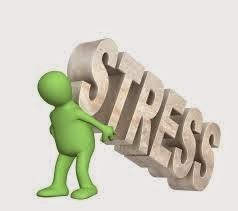 With all of this riding on our back, it is no wonder that many people turn to pills and alcohol so they can deal with enormous amount of stress coming their way. Luckily, there are certain ways to nullify all of this stress and live a better and healthier life. Naturally, we are not talking about the medicine from your local, online pharmacy. The first thing that we need to take into consideration is our own wishes. When we were children, people often asked us what we want to do when we grow up. Given that we are different people, the answers varied but one thing was similar for the most of the kids. Many of them never had an opportunity to live out their childhood dream. Somewhere along the way, the reality of life altered their path, usually making them unhappy with their daily job. Do not forget your dreams. Always try to follow them no matter what because you are the one that needs to do the job, no one else. If you are feeling bad about the thing which you do, you will never be happy. Instead, you will be constantly under a lot of stress. As we all know, stress is something that comes from the brain. It is sometimes caused by different traumas. In daily life, it is caused by the things which we don’t wish to do but we do them anyway. This goes against our nature and our better judgment. It throws us into a position where we don’t feel good in our skin. The point is that you shouldn't always be selfish, but at the same time, you should allow other people to trample all over you. Find something in between, something that will allow you to be a productive member of society but at the same time it will give you a chance to be honest towards yourself. Whatever you do and no matter how much stress you have, don’t try to solve all of the problems with things such as the medicine. Each US based and Canadian pharmacy has the solution to your problem but it doesn't mean that you should take the easy way out. These online pharmacies offer you a quick solution in a bottle. The way to correct your life is much harder and more rewarding in the end. Don’t forget that you are personally responsible for your life. Don’t hide behind excuses and other people. Instead do the right thing for yourself and those close to you. When someone crosses the retirement age threshold, organising and undertaking travel can become quite complex. There can be more issues, health concerns and costs, as well as additional planning and research before booking. Therefore, there are extra precautions for an elderly traveller to take when going on holiday. 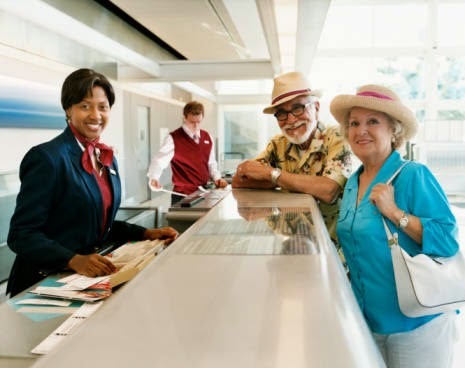 This is one of the most important factors for elderly travelers. Discussing a pre-existing condition with a doctor will allow the individual to be prepared and know if there are any extra precautions that they should take. In addition, it may be wise to discuss possible destinations and travel options before booking. For over 65s that have a heart condition, it is advised to avoid destinations that are at a high altitude, due to the lower level of oxygen. There are also precautions to take when flying – in extreme cases a doctor may even advise to avoid air travel – as there is an increased risk of blood clots in the legs. It is also wise to stock up on medication and take a larger quantity on holiday than is required, in case of delays. It is always best to carry medication in hand luggage, as it will still be on hand if baggage goes missing. Also keep a note of any tablets and treatment in your wallet/purse, in case of an emergency. For many younger travelers, finding and purchasing travel insurance can be a quick and painless process, but for the over 65s, there are more things to consider. In the majority of cases, basic cover will not be sufficient. Due to the increased risk of injury, accident and illness associated with older individuals, those over 65 are often faced with higher travel insurance premiums. There are cheaper prices, but the most important thing is to find appropriate insurance that covers any pre-existing illness as well as a high level of emergency medical cost. Holiday destinations often mean extreme temperatures, whether colossal heat or snowy climates. Therefore it is incredibly important for travelers aged over 65 to take extra care of themselves. It is essential that elderly holiday makers drink plenty of fluids to stay hydrated, avoid too much alcohol as it is an ant diuretic, protect against extreme weather with hats and sunglasses, make healthy food choices and use sun cream. For extra information, Age UK have a wealth of tips for elderly travelers. When someone is diagnosed with dementia, whether caused by Alzheimer’s or something else, it is devastating for patient and family. The difficulty in thinking clearly, memory loss and mood changes can be exceedingly difficult to cope with, particularly if the sufferer is living at home. There are organisations that can help with information and advice, such as the Alzheimer’s Society, but the treatment, care and support provided by the team of nursing professionals can be a vital lifeline to all concerned. These are Registered Mental Health Nurses who have undergone further training and specialized in dementia. They have an expert level of skill and knowledge in the care, treatment and support of people with dementia, their caregivers and families. They can visit patients at home to perform in-depth assessments, which will include observing the patient and their surroundings. They will take a detailed life history and ask for information on day-to-day life. In cases where care need is high, the specialist dementia nurse may work alongside other health and social care professionals. They may also advise other visiting nursing staff on the best care and treatment for a patient. The charity, Dementia UK, provides specialist dementia nurses, known as Admiral Nurses, to patients living at home. They provide expert, practical and emotional support to caregivers and families, as well as to the patient. 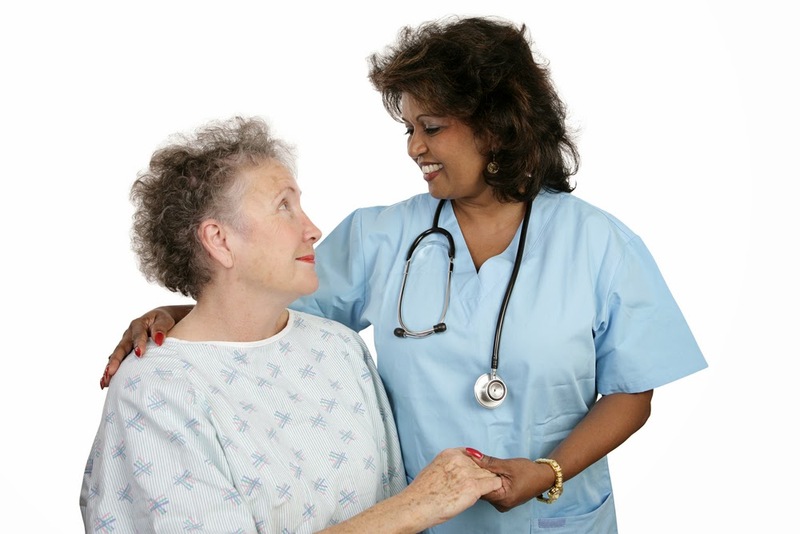 Also known as Community Psychiatric Nurses, CPNs also offer much-needed support to dementia patients and caregivers. They make assessments in the home, removing the need for a trip to the surgery, which some sufferers find stressful. They also offer advice to all concerned on how best to cope, as well as how to improve the patient’s health and quality of life. For loved ones looking after someone with Alzheimer’s, this care and support from a mental health professional is of vital importance. To see what jobs are available in the NHS for mental health nurses, visit Nursing Personnel. Part of the primary care team, district nurses come to the home to perform more general nursing duties, such as changing dressings, as well as carrying out tests and assessments. As most visits will tend to be from a community nurse, it’s arguable that their role is most crucial, as the regular visits should encourage a sense of trust and rapport with the patient, caregivers and family. Deciding to care for a dementia patient in the home is not a decision to be taken lightly, as it can have a profound effect on carers and loved ones. The help and support provided by the nursing team, together with other health and social care professionals, can ease the trauma considerably. Personal growth often requires a lot of hard work. It also means overcoming obstacles and facing challenges as they arise. And, for so many people, some of these challenges involve substance abuse and addiction. Indeed, addiction affects millions of people each and every day, preventing them from living the lives they want and deserve. If you are one of these people, you know that beating addiction is easier said than done. Thankfully, though, recovery is possible. Keep reading for tips on achieving and maintaining sobriety, and, in the process, enhancing your health and quality of life. First and foremost, seeking professional help is essential to overcoming addiction and living life to the fullest. And when it comes to addiction rehabilitation, facilities can differ in a number of ways. For example, some treatment centers focus on traditional recovery methods, while others offer an alternative, holistic approach to addiction therapy. And since choosing the right facility can significantly enhance your odds of success, be sure to gather all the information you need in making the right decision. The right facility will offer a recovery plan suited to your own unique needs, which will help you address your individual problems with addictive substances. Addiction treatment isn't easy, especially in its earliest stages. When faced with withdrawal symptoms and other complications, many patients experience depression, anxiety and other issues, which, in some cases, can derail treatment and stand in the way of recovery. However, by making the effort to live in the present and do the work, patients can increase the odds of a successful recovery. In the average young adult rehab program, patients may be encouraged to work the 12 steps of addiction recovery. By truly devoting themselves to the stages of recovery, patients can play a more active role in treatment, and lay the groundwork for a sober and healthy future. Change, even when it's for the better, can be frightening. And, for recovering addicts, this change involves facing life and its challenges without the crutches of addictive substances. Naturally, this type of change can be terrifying, and is often to blame for relapse with drugs or alcohol. However, by embracing change as a positive, individuals in recovery can improve the odds of sustained sobriety. To truly appreciate the changes associated with recovery, it can help to keep a running list of all the benefits of sobriety. For example, one positive change commonly afforded by recovery is a stronger bond with friends, family members and loved ones. Another is improved physical health and psychological well-being. Either way, to experience a lasting recovery, change should be welcomed, embraced and truly appreciated. • Stay positive. Avoid negativity in all its forms. Surround yourself with positive, supportive people, and focus on all the good things sobriety has to offer. • Stay busy. Keep your mind, body and soul occupied with enjoyable and fulfilling activities. Spend time with your family and friends, dive headfirst into your career, and fill your free time with fun, fascinating hobbies. • Self-monitor. To promote a lasting recovery, it's important to keep a close watch on your addictive tendencies. If you need help monitoring your thoughts and behaviors, seek long-term counseling from a trained addiction specialist. Addiction can be an overwhelming, and even deadly, disease. However, with the proper treatment, and some hard work and determination, recovery is well within your reach. With the information provided here, you can overcome addiction, and live the life you want and deserve.